As you may already know, I love Jesus. I'm a young Christian woman who is so passionate about her faith - and so passionate about serving The Lord. I've had some people email me about my faith and say But you're not a bible basher?! and that would be true - because God tells me to love all people - not beat them with His word. This series isn't about bible bashing - it's about coming together and celebrating women - the bonds we share, how unique we are, what we're going through in life - and of course our faith as well. 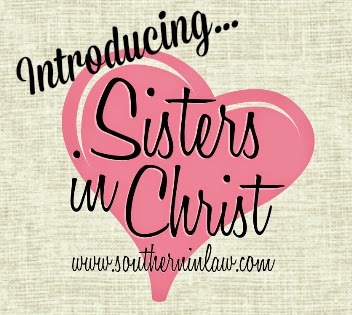 I'm calling this little series SIL Sister's in Christ and it's going to be a weekly post series where we'll talk about different scriptures, how we can put them into practice in our lives and pray for one another. Think of it like an online version of Women's Ministry. But why did I want to start this? Because I have so many emails from readers who want to know more about Jesus - from readers asking me about the ministries I'm involved with and the church I attend to readers who just want someone to share their faith with as they live in a country that doesn't allow them to be free to do so or because their family and friends don't agree with their faith. I found my first "Sisters in Christ" through the blog and I want you to be able to have that too. It is an incredible feeling to know that you're supported by other women - and whilst I might not be able to meet with you in person to give you a hug or pray with you, I want you to know that each and every week we can come together (with hopefully lots of other women) and talk about God! Talk about God! Of course! We'll read through scriptures together, take a look at what they really mean and how we can apply them to our lives and prayers. Something I've been doing for a longggggg time is updating my phone screen savers to a verse for the week ahead. I've never shared these screen savers, however, when I've talked to some friends from church about this they were super keen to do the same. This isn't about me, guys - it's about us. This isn't going to work very well unless you jump on the bandwagon too, so join us! Whether it's a comment, message or email or a post on your blog so that you can share your thoughts with your readers - the choice is yours! To start off with, I thought we should look at what it means to be a "Godly Woman" and how we can apply these things to our lives. I've broken down the series into five different parts, however, I wanted to start with the most important one: Seeking God First! For so much of my life, I was a control freak. I'm the queen of sticky notes, to do lists and journals and I always arrive at least 5 minutes before I'm meant to be somewhere. I have always wanted to control everything because that's when I felt the most calm and collected, however, it's these verses from Jeremiah and Matthew that have changed my life and that I now find the most comfort in. In Jesus's sermon on the mount, He tells us; (in Matthew 6:25)"do not worry about your life, what you will eat or drink; or about your body, what you will wear" he asks us, "Is life not more than food and the body more than clothes?". He says to us, in Matthew 6:27, "Can any of one of you by worrying add a single hour to your life?". "But seek first His Kingdom and His Righteousness and all these things will be given to you as well"
"For I know the plans I have for you, declared The Lord. 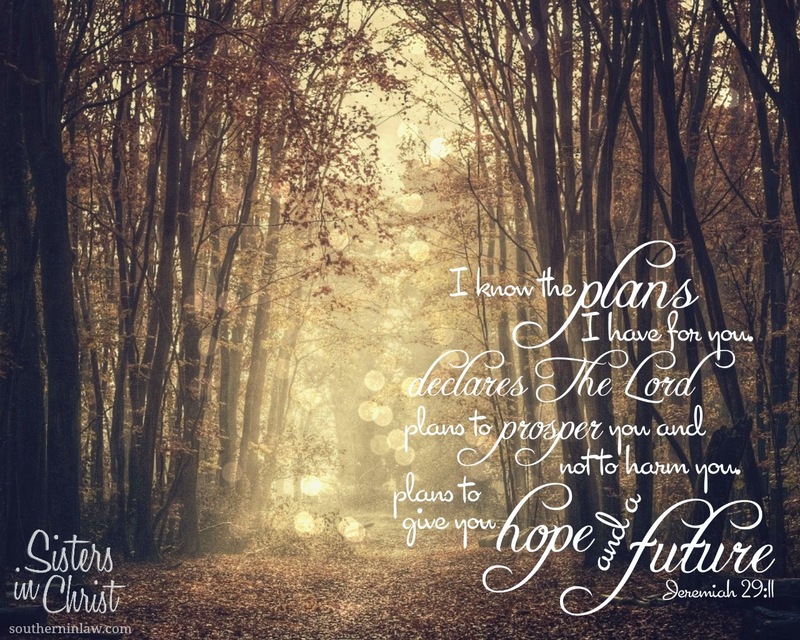 Plans to prosper you and not to harm you, plans to give you hope and a future. Then you will call on me and come and pray to me, and I will listen to you. You will seek me and find me when you seek me with all your heart." 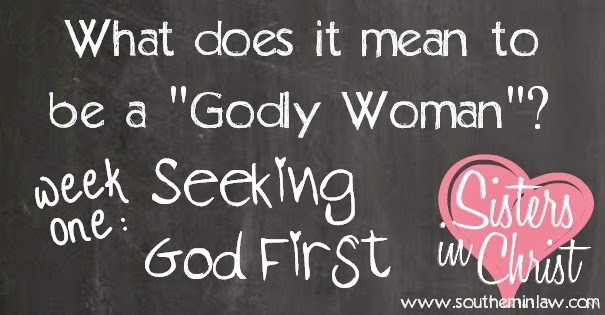 But what does it mean to Seek God First?! Basically speaking, it means to prioritise. We need to put His love, His commandments, His desires and His plan at the centre of what we are and what we desire to be. We need to seek the salvation that is found in Jesus Christ because that is worth so much more than all of the world's riches. Does that mean we have to neglect our daily responsibilities that help sustain our lives here on earth? No - it means that we should have a difference in attitude toward them. If we're seeking God as a priority - by seeking His salvation, living in obedience to Him, serving Him and sharing the Good News with others - His strength will see us succeed and we will live out His plans for our lives (which are so much greater than our own plans!). Right now, you might be feeling like God has forgotten all about you. You might be praying faithfully, going to Church, serving Him with gusto - but you're not getting anywhere. What we need to remember is that it's humble obedience, patience and faith which bring Him onto the scene - it's about handing everything over to Him and trusting in His plan for our lives. What we plan isn't necessarily in-line with God's plan. We might feel like we need something, however, only God knows what we truly need. Think about all of the trials and hardships you read about in the bible - from Joseph who was betrayed and sold to slavery by his brothers to Job who was pummeled and tortured by Satan - all of these horrible trials were followed by restoration and sustenance. God doesn't want to see us fail, He wants to bring us to victory. Giving in and giving up (on our plans and earthly desires) is incredibly hard - but what we have to do daily is trust in The Lord and He will take care of things from there. God honours us when He is honoured as our top priority. For so much of my life, I was scared of letting go. I wanted control - but then I realised that I just needed to trust Him - and my whole world turned around. It sounds cheesy, but it's true - the person I am today isn't the person I was before that time. How can we apply this to our lives? What we all need to do this week (and every week) is let Jesus be at the forefront of our thoughts. Let Him guide our hearts and see how he puts everything else into place. Give God the keys and let Him in the drivers seat - ask Him to take you step by step, inch by inch, along His path - because that's the path that you'll find the most success on. Leave a comment below and get talking with your fellow Sisters in Christ! And if you have a prayer request, please leave it in the comments or send me an email. I know that God brought me to your blog this week! On Sunday, I was convicted to take a break from Facebook so I could better prioritize my life. I'm a former high school English teacher, but I chose to stay at home almost three years ago when I became pregnant with my first son. Now, I have a two year old and a two moth old. In the busyness of laundry, diapers, nursing, play dates, cooking, working out, and keeping afloat, it's easy to lose focus of God's design and let my priorities get out of whack. I found your page while looking for a gluten free avocado brownie recipe, and felt compelled to follow you on Instagram. When I saw your Bible verse picture, I was excited to come back and read this post! I need like-minded Christian women in my circle; your words resonate with my heart as I take much-needed steps to simplify and redirect. I loved this idea and had to try it right away when I saw it, but something didn't quite work out right. I used the 3 eggs and ricotta mixture. Was I supposed to mix the ricotta mixture with the quinoa mix so that everything was coated and had a binding? Or did you just layer the two? I layered mine and that is how they stayed. The quinoa mix falls apart when I take it out of the ramekins and my quiches did not rise at all. Just wondering what I missed. Thanks! Kristy, this new serie of posts is such a good idea ! I don't know what to add now, but I wanted to let you know that I read your post carefully. It's good to read about faith, I'm sure it will be so positive for everyone ! Yes, as it says in the recipe, you've got to mix the two together - that way the egg and ricotta mixture binds it all together. Robin, your comment is so encouraging! I'm so glad the post resonated with you - it's hard adapting to the different seasons of our lives because we tend to become so used to one way that it's hard to change what we're doing and adapt to a new way. We get so caught up in the busy-ness of life that we forget even a few minutes with God each day can totally change our lives - God is never going to groan that you spend only 10 minutes a day with Him, He's going to be elated that you're coming to Him at all! I really love this Kristy! I was raised Catholic and noticed that lately things are looking up in my life, yet I still am somehow starting to lose faith. I don't know quite what it is, but I am losing my umphh if that makes sense?! I really like the idea of saving verses as a screensaver. Hopefully taking time out of every week to read a verse will help me connect with God again. Thanks. I read this post a few weeks ago and meant to write this but didn't get around to it till now. I hear you Robin Ludwig. Im at home with a nearly 2 year old and a 3 month old too. Taxing times! A few days before you posted this kristy, I prayed that God would somehow give me a bible study group cos I want to be connecting with God and his people more but couldn't fathom how this would be possible in my current circumstances. This part of your blog Kristy may just be his answer. Oh and he also directed me to that matthew passage just days before I read your link to these verses. Love those God-incidences :) Thanku God! Would you happen to know the nutrition facts? This looks delicious... I love spinach! An easy to make meal and delicious!